Last night Apple took the stage for the first time in their Steve Jobs Theatre. A clearly emotional time for the likes of CEO Tim Cook, who spent most of the opening speaking about Steve’s legacy and his attention to creating devices that looked beyond the curve. The rest of the night was an attempt to show just how Apple was still delivering on that vision, and included five whole new devices set to ship this year. More importantly, though, we finally got our first look at the next big iPhone revolution: The iPhone X. The iPhone X (or iPhone 10, because tech companies hate the number nine) was pretty much leaked down to its most minute details before the event, but Apple still managed to make the reveal feel special. The iPhone is the first big design shake-up since the iPhone 6 in 2014. It features a curved, 5.8-inch OLED panel with 2436 x 1125 and support for HDR . 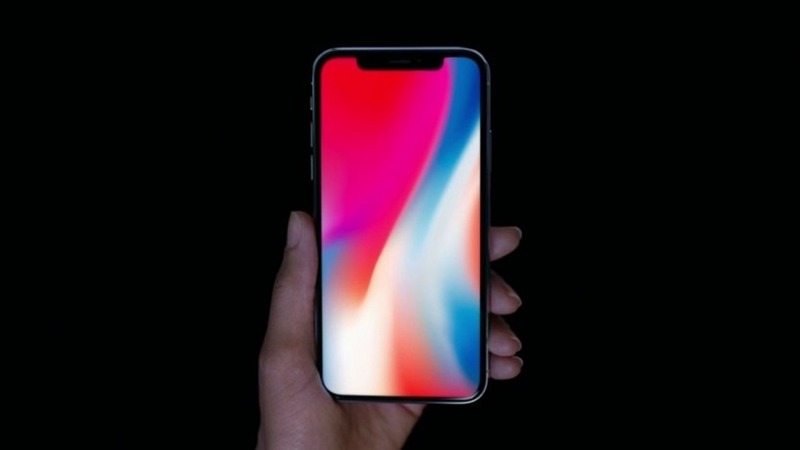 An edge-to-edge display that Apple is fitting with “Super Retina” technology, with only a cut-out at the top for the speaker and array of facial recognition cameras you’ll need to operate the device. Face ID is replacing Touch ID, using a bunch of sensors to accurately detect and use your biometric face data to secure your phone. 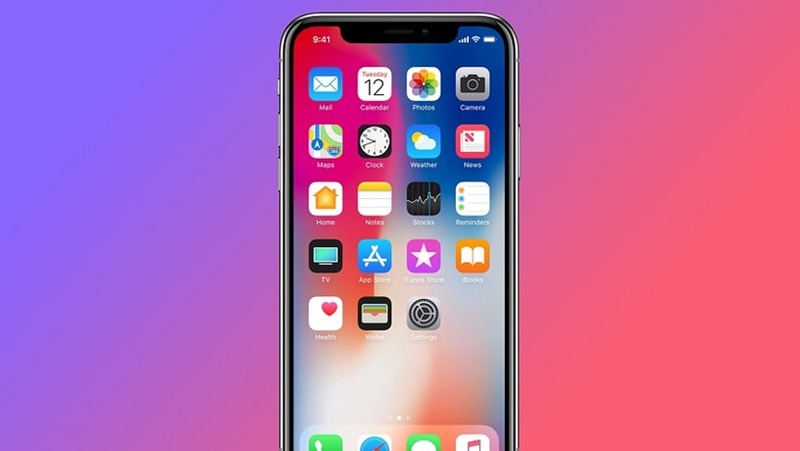 In practice, it means you’ll just need to glance at the iPhone X to unlock it, followed by a swipe up to get to the Home Screen (there’s no longer a home button). 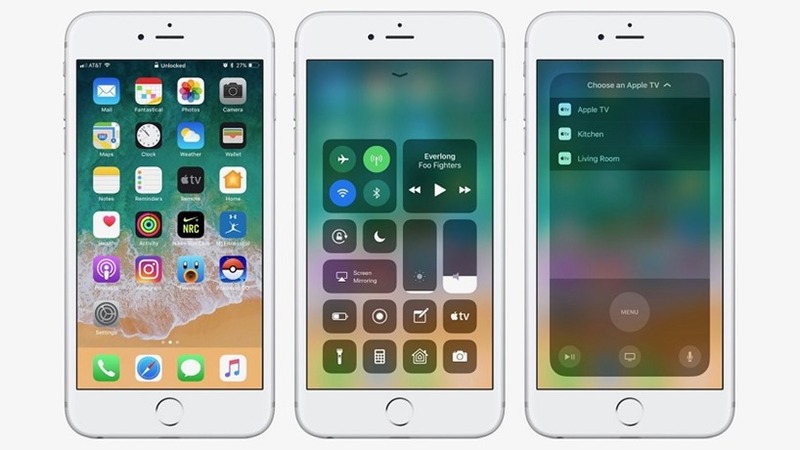 In fact, swiping up has been assigned to a lot of features on the iPhone X, which might sound scary if you recall how hard it is just to summon the Command Centre on current iPhones. 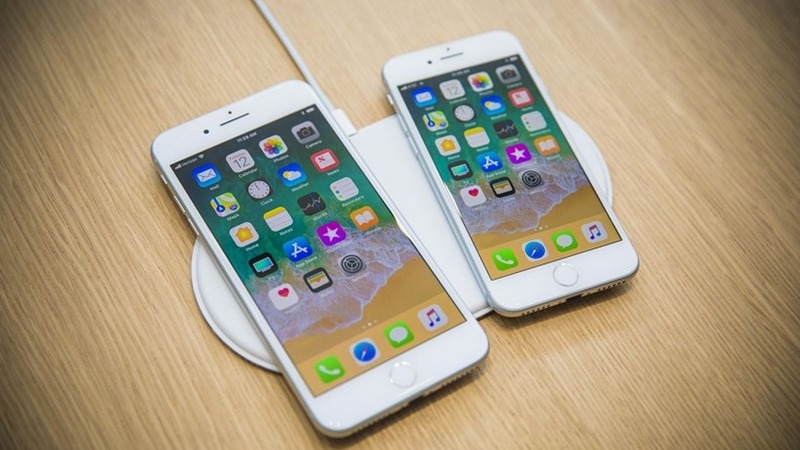 It’s Apple’s premium device though, with dual 12-megapixel rear cameras, a glass back and new wireless charging technology up to Qi standards (meaning many third-party chargers will immediately work with it). It’s coming on November 3rd, and starts at $999 for the 64GB version, and a full $1150 for 256GB. The iPhone X might have been Apple’s “one more thing”, but it was actually the reveal of the iPhone 8 that was the most surprising of the night. If not only for the fact that it marked Apple’s move away from the “S” naming nomenclature. The iPhone 8 is, in essence, the half-step upgrade that Apple has adopted since the iPhone 4. It features the new A11 Bionic Processor (the same powering the iPhone X), the same 12-megapixel rear camera upgrade of its bigger brother and a tweaked design that sees the glass back return over a metal finish. The device beyond that is nearly indistinguishable from the iPhone 7. From the front, it looks the same and features the Home Button with the weird vibration activation and Touch ID. But if paying a premium for cameras that only really serve to replace your Home Button sounds like a stupid idea, then the iPhone 8 is looking like a better choice. It’s out later this month, $699 for 64GB ($799 for the Plus), and $849 for the 256GB model ($949 for the Plus here). The Apple Watch is now the best-selling watch around the world, and Apple happily revealed that news just ahead of announcing a brand new series for you to finally make the jump to. The Apple Watch Series 3 bears many similarities to the Series 2, but features one big addition: LTE support. 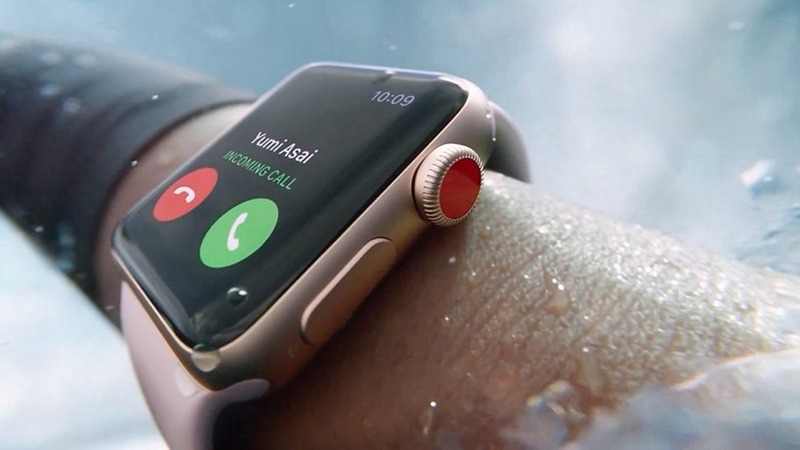 This means you can pop in a sim card and have your Apple Watch do smartphone things without the need for your iPhone. You can make and receive calls and texts on the go and have third-party apps function without the tether to your iPhone. Beyond that, it features some minor sensor upgrades and a new chip that improves performance. The Series 3 is out later this month in a non-cellular version (essentially just the Series 2) for $329, and cellular supported for $399. It took Apple a long time to get to this point, but they’re finally releasing an Apple TV that supports 4K resolutions, HDR10 and Dolby Vision and many ultra-resolution streaming apps. It’s taken so long that many TV manufacturers and other devices (consoles, Android streaming hardware) have had this support for nearly over a year now, which makes the Apple TV an even more curious investment than before. The biggest news of the announcement was the 4K content itself. 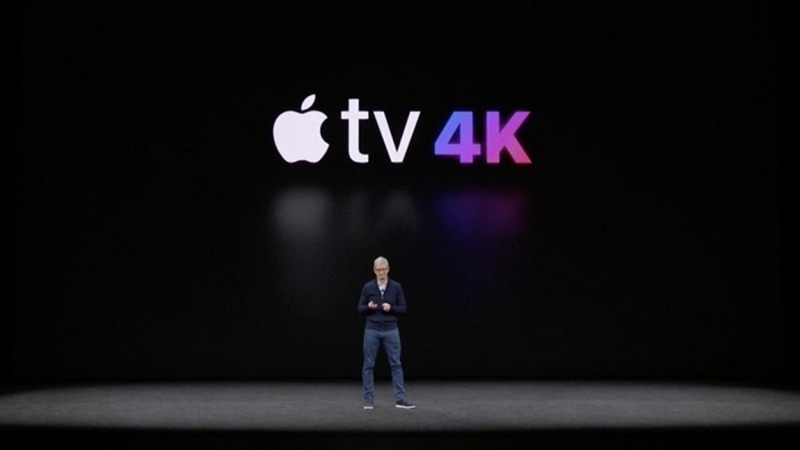 Apple has managed to secure deals to make 4K versions of films the same price as the HD counterparts, and will upgrade any of your purchased content for free. No other service does that, so it’s a big win if you’re already invested in the ecosystem. Apple TV 4K is out later this month, and will start at $179. iOS upgrades have become less about overhauls and more improvement through refinement, and iOS 11 is no different. The update was detailed in full earlier this year and features as many throwaway additions as it does actual useful ones. WatchOS 4 is a bit of a better improvement for the Apple Watch, focusing on improvement fitness features, heart rate functionality (the watch can no detect irregular spikes in your heart rate, which is super useful), and general clean-ups to efficiency. iOS 11 and watchOS 4 are both out on September 19th. Of course all of these device release dates are exclusive of South Africa (as has been in the past), so we’ll update you with any local confirmations and pricing when we get them. Writer, Game Designer, Co-Host on the Checkpoint Chat podcast.